There isn’t a shred of evidence that, in a free society where adults aren’t required to accept guidance, children shouldn’t be allowed to be just as self-directed as adults. There are plenty of societies that treat children as adults. There are societies where children six years old go out on their own to tend sheep! Our society, after putting children through twelve years during which they are forced to accept guidance, all of a sudden says, “Now you’re out in the world and you’re supposed to be able to be self-directed, to be free to do as you wish.” A sudden metamorphosis: one minute you’re caged, the next minute you’re free. You can see how jarring it is in nations. Every country in the last century that has suddenly been liberated from an onerous, coercive government has made the transition to responsible freedom with extreme difficulty. It’s hard. And yet we expect every child to do it because we want them as adults to be members of our free and creative society. 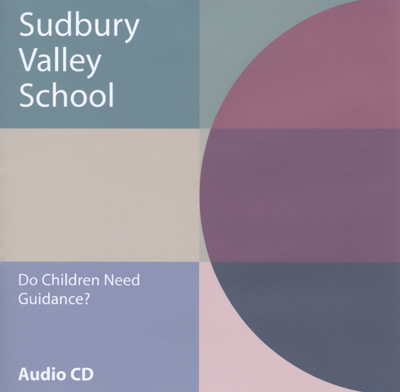 Sudbury Valley is on the cutting edge of an era that recognizes that children do not need guidance any more than adults do in the 21st century. The success of the school, and of our graduates, for forty-three years are pretty much living proof of that.